Ever since HBO begrudgingly confirmed that Game Of Thrones will be ending after eight seasons, it’s been clear that the only people involved who really wanted the show to end at all (other than maybe some of the actors) were showrunners David Benioff and D.B. Weiss. It’s still a big hit for HBO, so the network clearly would’ve been happy to air Game Of Thrones forever, but now George R.R. 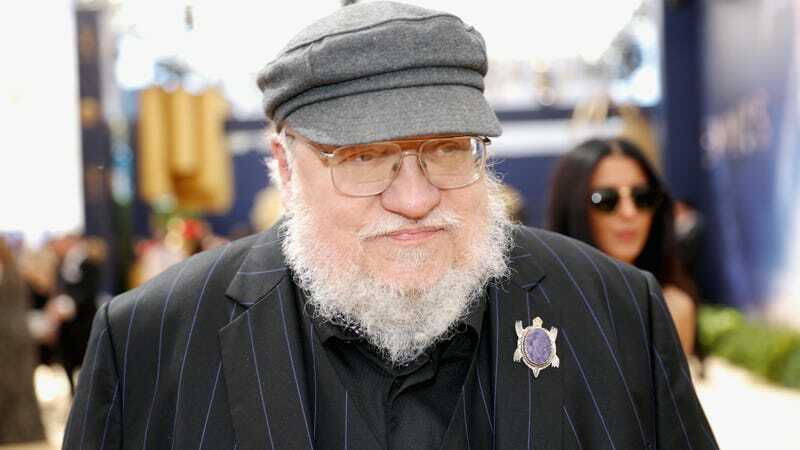 Martin—who wrote the books the show is based on—has admitted that he also wanted the show to stick around as long as possible. Luckily for Martin, his easy excuse isn’t going away entirely. He’s still involved in Jane Goldman’s prequel/spin-off series, even if he freely admits that he doesn’t have a whole lot to do with it, so nobody needs to worry about his literary output suddenly exploding.